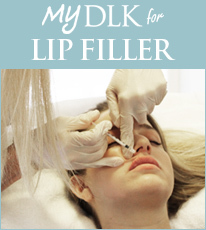 DLK’s Eyelash Enhancment Treatment is a safe and effective solution for people with inadequate lashes. It is the first Health Canada and FDA approved product clinically proven to improve eyelashes, including length, thickness and darkness. The treatment’s ability to grow eyelashes comes from an innovative ingredient that is believed to stimulate and grow more hairs into the active growth phase (anagen) and increases the duration of this phase resulting in fuller and longer eyelashes. Clinically proven to grow lashes with gradual and natural results. Once-a-day topical treatment available by prescription from a physician. Almost immediate results in as little as 4 weeks. Quick, easy and painless at home application. An eyelash growth product is applied topically once-daily to the base of the upper eyelid margin, similar to eyeliner. Lashes grow gradually with most people beginning to see longer lashes in 4-8 weeks, with full growth at 16 weeks. It is applied at home, before bed with its own sterile, single-use-per-eye disposable applicator brush. The at home treatment is directed by a physician and is comprised of 5 easy application steps. The product makes lash growth possible because of its active ingredient bimatoprost, which increases the length anagen (growth phase) of the hair cycle, and secondly, increases the number of hairs in this growth phase. Increased darkness occurs by stimulation of pigment (melanin) formation in the hair follicles. If you’re considering this treatment it is important to speak with your Dermatologist. You may have questions about how the treatment works, how soon you’ll see results, and the safety of the product. Once treatment is discontinued, over a period of several weeks to months (average eyelash hair cycle), eyelash prominence will return to pre-treatment levels. Therefore, to keep lashes looking luscious and beautiful, continued treatment is necessary. In a clinical trial, after 16 weeks of daily application, patients on average experienced 25% longer, 106% thicker and 18% darker lashes. As the treatment progresses, you’ll begin to see changes gradually. After nightly application for 16 weeks, full results will be visible. The onset of is 4-8 weeks. Eyelash enhancement results may vary.